Vikram Kumar had earlier directed Simbhu starrer Azhai and Madhavan starrer Yaavarum Nalam. Recently he directed the superhit Telugu film Manam. After this, he is directing the film titled 24 which has Surya in the lead role. Surya is producing 24 under the banner 2D Entertainments. Samantha is pairing with Surya. A R Rahman is composing the music. 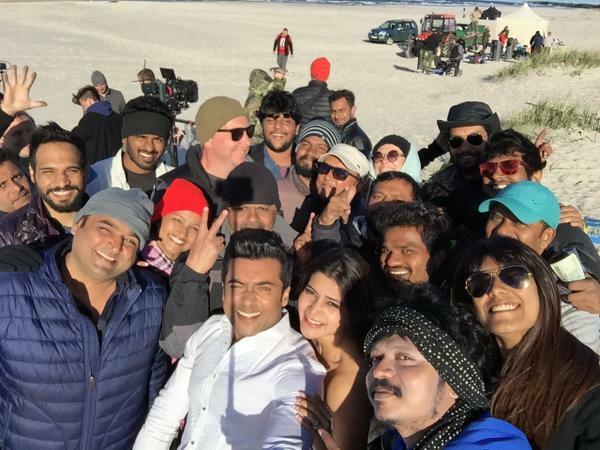 The shooting of 24 commenced in Mumbai and continued there for long time. After this, the shooting of the film took place in some places of Andhra Pradesh. The cast and crew left to Poland to shoot song sequences. Now the shooting of the entire film has been completed.